I am going on my third year in south central Missouri and I have seen 7-10 consecutive days of overcast. Its a concern for me preparing now to go into the coming winter and for that we plan on adding an additional array and addition battery bank to run parallel to our existing one in hope that we can scoot through this next winter. Peter how do you separate those different prioritized loads? How are you switching them on and off? Hey Bengi what kind of TV do you have? Mine draws way more and it is close to the end of days so I would like to get another. As for me water is not a problem as we catch on everything: sheds, house, chicken coop, etc. We we can transport water to house fro jugs/buckets when the need arises and it does arise from time to time. I have designed such a system but not really implemented it. Most of my system was built out of necessity and as I had funds to build it. I do diversify my system in the sense that I use a separate system for a shed, a separate system for my chicken houses, etc and of course my main focus is on my house which has it's own system. I plan on building a wood working shop and it will have its own solar system for it as well. We run appliances and have refrigeration and a freezer. We have run out of battery storage before (due to AC unit in battery house not being on timer to turn off at night) and our inverter does automatically turn back on. We have an AIMS Power 3000 Watt 24V Pure Sine Inverter Charger w/9000W Surge. It works well for our needs. We have to pay attention to power consumption but the system provides our needs. We charge phones, multiple laptops, run TVs, Surround Home Theatre / Receiver, computer monitors, coffee grinders, blenders, mixers, shallow well pump, tankless water heater, samsung propane stove and oven (not efficient! The oven uses 500w), Fridgidaire Energy Star fridge (800w per day), egg incubators, lights throughout the house, air compressor, power tools, fans. We run three fans a night, plus we have a 60w whole house fan, and Xbox regularly (I like smashing kids at NBA), and more I suppose. We are forecasted for several days of overcast and we just don't use the TV, Xbox, electric eating oven, and etc until it passes. We plan on another battery bank and 900w array to run a chest freeze mid fall that will probably run on its own circuit to the house. Add: I have some plans in mind to use arduino to wirelessly communicate with my battery house to my house to control the system. Maybe sometime in the future I will have time but it is not necessary now. Awesome just added to Amazon wish list. Looking forward to the read. Hey Kevin we are looking to do the same. We don't have any experience doing this and hope to start it this year. I look forward to anyone who can comment on this post and give us some direction. Newborn is gone, whats a Jersey cow to do? I don't have answers to your questions but I do anticipate a family cow early next year and I am planning on going with a Jersey. I too am in the Ozarks, in Cabool actually. I am looking for local support for Jerseys and hope to buy local. Any suggestions for that would be appreciated. Thank you for your participation. I have personally found your sites very informational and entertaining. I read the newsletters and blog posts as often as I can. I am providing a link where I have posted your website information. I extracted or paraphrased content from your websites to add to my blurb. For future participants I will do the same unless you would like to provide a custom blurb for me. Thanks again. You can find your link here at Homestead Crossing. This is the old website (as of this posting) I am working on replacing it with an updated site but will probably keep the blurb. Dan Grubbs wrote: I'm not in the Ozarks, but up near Kansas City. Great site Dan! I am seeking homesteading sites...it doesn't matter where they are located. Whatever a person is doing with their homestead is what I am interested in posting. Real stuff, just real stuff. My mom lives on Kaua'i. And if I could I most certainly would. Oh that growing season. I have not made a formal introduction on this site yet but I am a new homesteader in Missouri as of this year. I grew up on a homestead in Illinois so I am not completely new to the life but lived the professional consultant life of traveling abroad for nearly twenty years. Anyway, I am finally where I want to be. We, my wife and myself, plan on starting a community online magazine promoting the local community here in the Ozarks. That will not be published until January-ish of 2017. Currently, I am working with a land office providing owner financed land; they are great people. I work there as a web developer consultant to help them sell their product: land. I have professional interests at Permies.com but mostly I have personal attachments and believe in the permaculture principles and practices and hope to promote permaculture in this region through the outpost of the Homestead Crossing, Inc's website. That's the company i am working for at the time being. So how do you come in? I would like to get Homestead Crossing more exposure to the homesteading culture / permaculture movement. They have currently several clients that are homesteaders as well. Its kinda their business. I have the idea of building healthy relationships with you, homesteaders, that can help immerse this company into the arena of promoting permaculture in this region by helping them achieve their goals and objectives while at the same time helping us, permaculturalists, achieve our goals and objectives by educating people about permaculture. So i am looking for you guys that have websites, blogs, youtube videos, or facebook groups, and etcetera to be a part of this idea. How? Anyone that would like to have free promotion of their website, blogs, etc to post your information here and I will create an area on HomesteadCrossingInc.com promoting your website, blog, etc with an excerpt from it or a brief description of what you have to offer. I really think that this is great opportunity to help promote permaculture and I truly believe that this region needs the exposure and education. 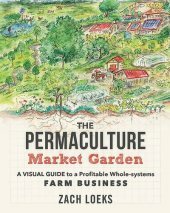 I have a lot of great ideas for permaculture workshops / education and the such with the funding backed by my current employer. What about owner financed land? We have cheap land in many states (nothing out west at this time). We have 40 acres in Missouri that is non-restricted for lease at $995/year. You can lease it year after year. You can camp, build, garden etc. We'll even break it up into payments if need be. The only restriction would be no cutting of the trees. Let me know what you guys think of the owner financing option.